Prime Minister’s Literary Award-winner Ryan O’Neill has sold UK and Commonwealth rights (excluding Australia and New Zealand) to his Henry Lawson-inspired short-story collection, The Drover’s Wives, to UK publisher Lightning Books. The book, which reimagines Lawson’s classic short story in 99 different ways, was acquired by Lightning Books editor-at-large Scott Pack, who also acquired O’Neill’s Their Brilliant Careers from publisher Black Inc. last year. 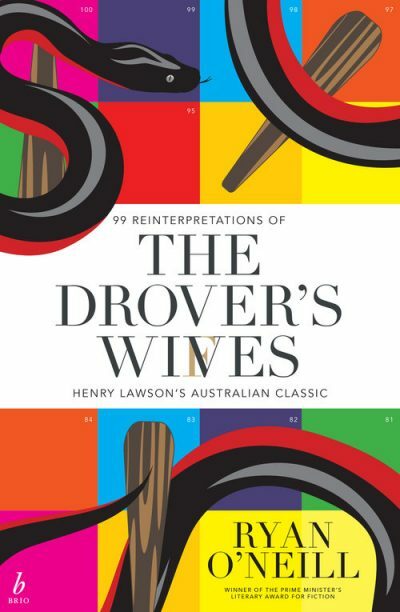 Australian publisher Brio Books acquired local rights to The Drover’s Wives last year. A selection of O’Neill’s remixes was previously published on the Seizure website, and new material has been added to the collection, which will be available in Australia in July. As previously reported by Books+Publishing, O’Neill’s most recent book, Their Brilliant Careers won the 2017 Prime Minister’s Literary Award for fiction and was shortlisted for the 2017 Miles Franklin Literary Award.